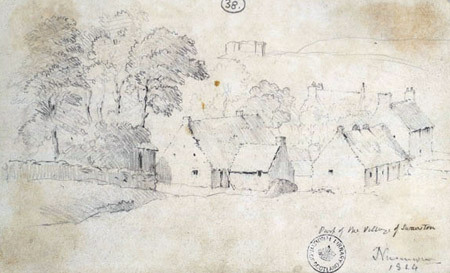 Sketch of Swanston by James Nasmyth. National Library reference: MS.3241, no. 38. As a young man, Stevenson would often leave the city for the cottage which his father rented at Swanston, a village near Edinburgh. There where he would read and write, and walk in the nearby Pentland Hills.